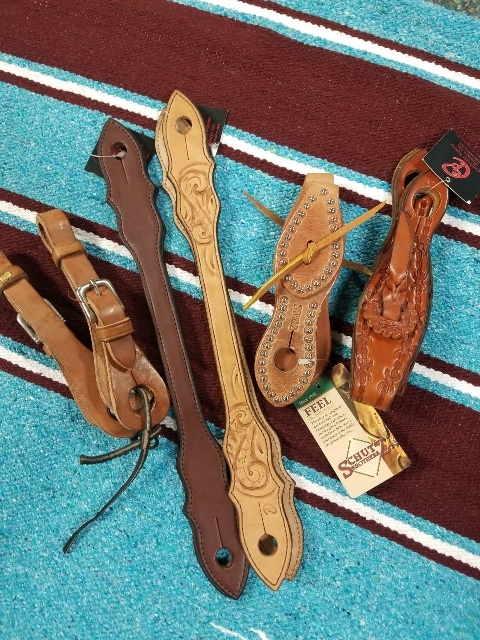 Great selection of slobber straps! Come find the one that fits your needs. California Equine barbed wire with rosette $33.95. These are some of the mecates we carry in our store. 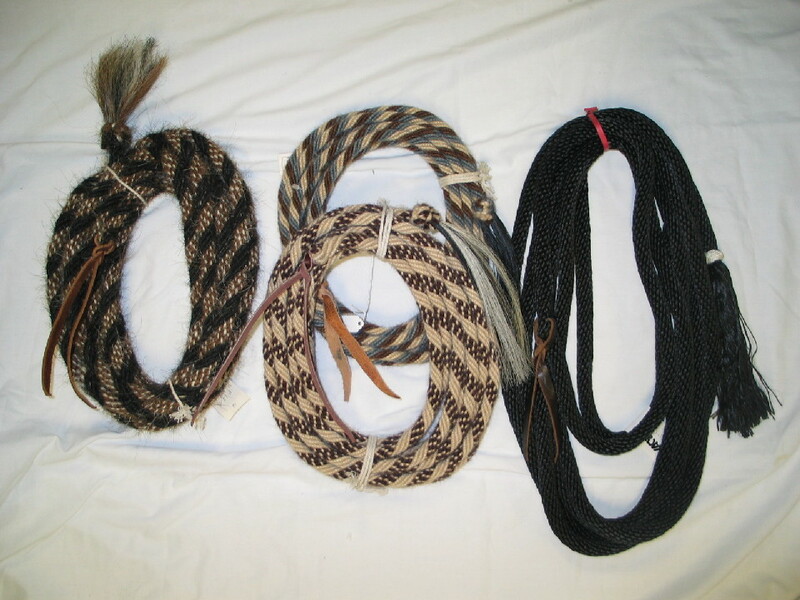 The horsehair mecate (on left) is $74.95. The middle mecates are mohair and are $88.95. They are softer than the horsehair and are one of our most popular mecates. The mecate on the right is nylon and is $19.95. 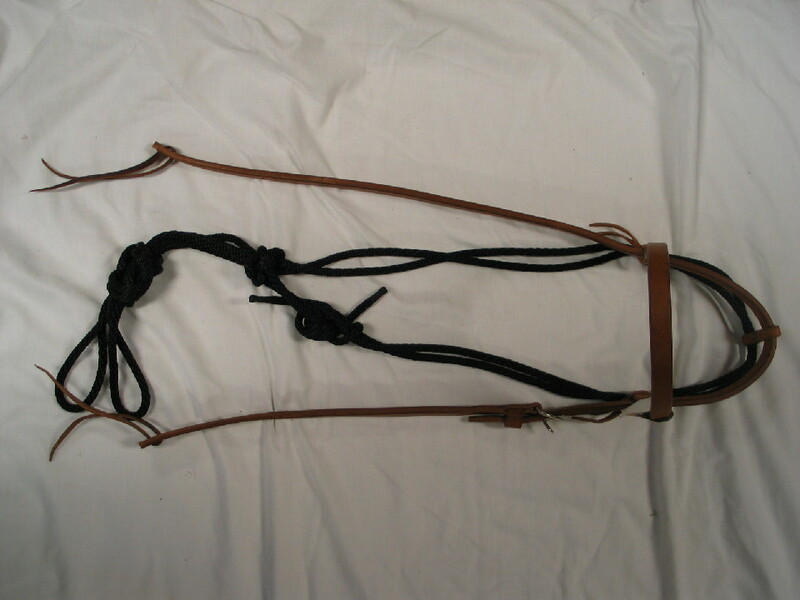 This is a nice bosal hanger made of soft harness leather that comes with a fiador. $34.95 while in stock.